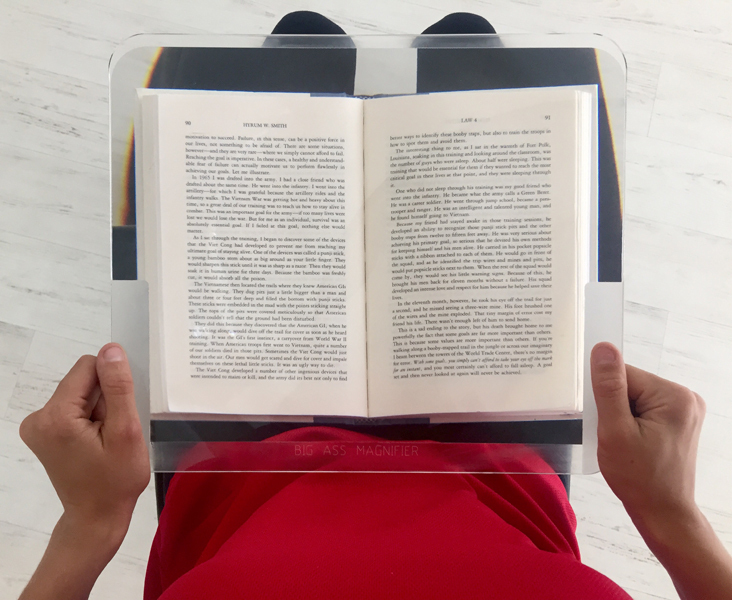 The Sheet Magnifier provides 3.5X by changing the distance between the Fresnel lens and your document. The magnifier allows you to find the best, most comfortable magnification level. It is large enough to magnify a full page of hard to read small print. There are Grasp-bars on the side of the Fresnel Lens for easy handling to prevent no scratch while using. * Size: 12" X 14"
* The largest lens made for reading, a full 12 x 14 inches!! * The clearest magnifier in this size. It's as clear as glass! * The brightest page magnifier. Lets in plenty of light!